Though the Polish economy faces external threats, the greatest challenges remain inside the country. Poland seems to be its own greatest enemy. The populist dynamics in Polish politics have reached unprecedented levels. Building comparative advantage based on innovation needs more than slogans written by politicians in strategic documents. The Polish economy is export-driven. That makes it very much dependent on the performance of Poland’s main trading partners -- first and foremost Germany. Unfortunately, the signs to date that Poland’s economy will escape from the middle-income trap are rather scant. The challenges which the Polish economy currently faces consist of the external threats as well as the internal ones. Outside Poland, it is the fear of Russia that is perceived most sharply in Warsaw. Poland is the only EU country that has a border both with Russia and Ukraine. The historical dimension of the relations with both countries is trouble-laden for the Poles. The EU, for its part, has gone through a series of crises in the past years. It is also not treated as a stable pillar by Polish elites. In their perception, it turned from being a “solution” (providing ample regional assistance and financing) into a “problem” of its own (via imposed allocation mechanisms etc.). But the greatest challenges remain inside of Poland. Poland seems to be its own greatest enemy. The populist dynamics in Polish politics have reached unprecedented levels. At this point, the backsliding towards illiberal democracy or non-democracy is palpable. PiS’s plan: Will it get us there? One wonders to what degree this “politicization” – against the domestic opposition, the EU and Germany – is simply the result of the fact that Poland has exploited the “low hanging fruits” of its business model. Further economic advancement requires engines of growth other than a cheap labor force and dirty energy (in both cases, Poland is still closer to the Chinese standards than the German ones). However, building comparative advantage based on innovation needs more than slogans written by politicians in strategic documents. To move up the value chain, Poland needs to change, positioning itself away from providing simple manufacturing and services. It needs to develop substantial levels of R&D, innovation and design content. The knowledge-based economy also requires more than a stable and business-friendly environment, investments in human and intellectual capital, supporting innovation and the rule of law guaranteeing potential investors a long-term stability. What may well trap the Polish economy at the middle-income level is the lack of quality of the country’s public institutions and governance standards. This has never been Poland’s strongest side and the PiS government, contrary to its grandiose announcements, has actually magnified and accelerated the problem. Whatever the problems in the past, they were mere hiccups compared to the broad-based hollowing out of proper institutional set-ups. In their obsessiveness, PiS leaders fail to recognize how much distrust they are creating in investor circles internationally. Truth be told, their political actions undermine their own economic aspirations. The defenders of the PiS’s strategy will argue that, two years after taking over power in Poland, the economic statistics are very positive. The GDP growth rate reached 4.9% in the third quarter of 2017. Exports increased by 7.7%, unemployment fell to 4.6% (by Eurostat standards). The fiscal situation has never been better – in October the Polish budget still registered a surplus, predominantly thanks to the improved tax collection, especially in the case of VAT. Given such statistics, any critics of PiS economic policies may sound like malcontents. That is why it is important to see these numbers in their proper relative context. GDP growth is indeed high — but only back to the levels similar to those when Jaroslaw Kaczynski’s party took power. It stands to reason that the improvement is not so much the result of the PiS government executing economic decisions optimally than a welcome side effect of the positive trends of overall economic growth in post-crisis Europe. While the Polish economy is stimulated by strong internal consumption (among others, by the child benefit program introduced in 2016, investment growth (which is critical for long-term development) still remains at a very low level. This trend has not changed since PiS took office at the end of 2015. The Polish economy is export-driven. That makes it very much dependent on the performance of Poland’s main trading partners (that is, Germany first and foremost). Rather than seeking to get along with its biggest growth booster, up to now the PiS leadership’s approach seems to have been to irritate the Germans at every conceivable turn in the road, whether with blusterous rhetoric or outright political obstinacy. One can only hope that the elevation of Mateusz Morawiecki (a German speaker who also studied in that country) may bring about a reconsideration of this short-sighted policy approach. Rational as that hope is, it may prove to be wishful thinking. It has been PiS’s good fortune to date that all major Polish trading partners have grown relatively fast. That reflects Poland’s role as an element of the Western production chain. But it says nothing about escaping from the middle-income trap. It is important to notice that Poland has stopped being the leader of growth among EU countries (which it had been for most of the time since 1990). Other economies in the region grow faster (e.g., Czech Republic, Romania and Latvia). That underscores the relevance of the general European growth thesis. Poland’s record low unemployment rates, while very welcome, may soon start to be problematic in the context of labor shortages. That may soon turn into a structural deficit for the country, hindering its economic growth in the very near future. The current strategy of draining the Ukrainian labour market may also come to its end soon, due to worsening Polish-Ukrainian relations. It doesn’t help that wages are growing dynamically, since Poland’s competitiveness remains dependent on low laboor costs. Inflation is ticking up as well. Many of PiS’s economic reforms have drawn widespread criticism. For example, the lowering of the retirement age is generally believed to be potentially explosive for Polish public finances in the long term. In the short term, it helped decrease the unemployment rate. In light of all this evidence, PiS’s decision to move Mateusz Morawiecki into the post of Prime Minister is to be welcomed. Optimists can interpret that as a sign that the party has recognized the importance of managing the country’s economy in the right manner. Otherwise, the odds are that it will risk its political predominance. But, here again, this may ultimately prove to be wishful thinking. PiS’s far-flung governmental reconstruction project seems focused on playing to public opinion and keeping the population contented (and away from paying attention to what really is happening with the political system). Of course, PiS needs a well-functioning economy in order to deliver their social promises. In that regard, it is important to note that Morawiecki is far from being the independent expert as he is often portrayed (he is not an economist by formal education, rather a historian with some managerial courses). Unfortunately, as it stands, the signs to date that Poland’s economy will escape from the middle-income trap are rather scant. To be sure, the increasing scope of dismantling the separation of powers and greatly reducing media freedoms in a Turkey- and Hungary-like manner contravenes the case of laying the proper conditions to move up the value chain. The evidence from other countries that tried quasi-authoritarian strategies to boost economic growth is clear. Performance may be up for a short while, before declining rather significantly due to the built-in structural weaknesses. 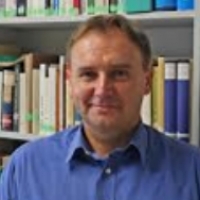 Rafał Riedel is Professor at the University in Opole in Poland and Guest Lecturer at Sankt Gallen University in Switzerland.